Put down the Lean Cuisine. Stop making the same old sandwich. Don’t waste your money ordering out. 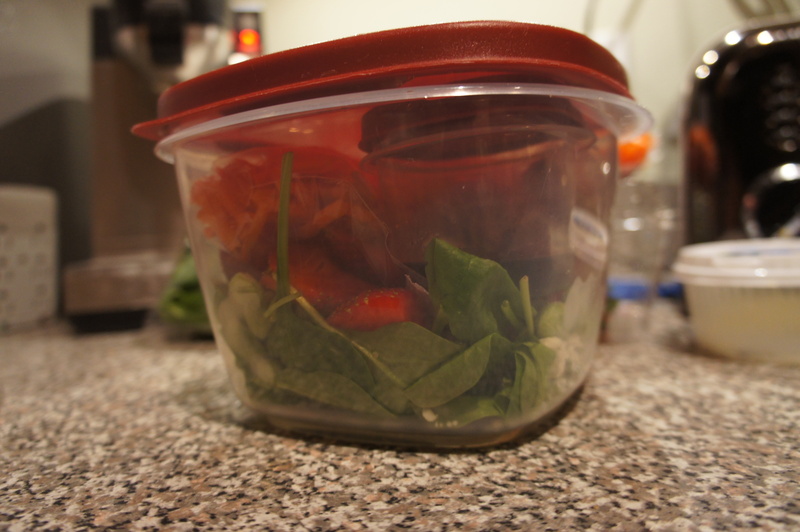 Instead, let me teach you how to pack the perfect lunch salad. I begin the night before because every morning I inevitably dawdle. Pick your greens. 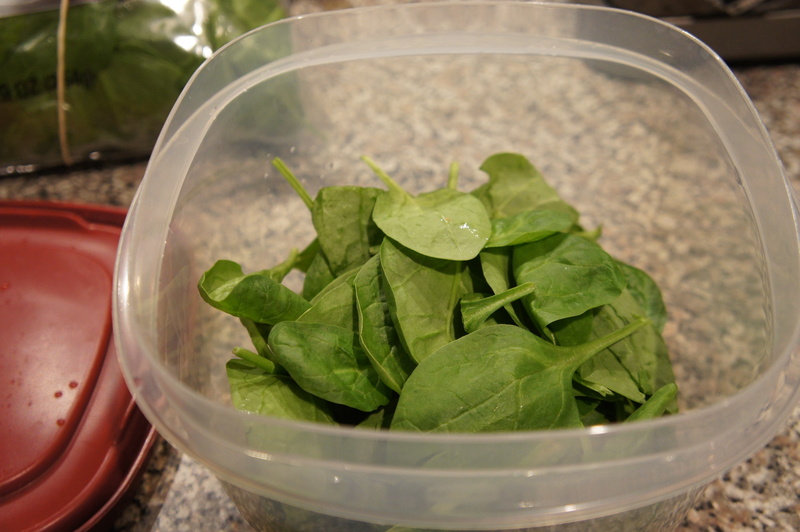 I love spinach so it’s my go-to base in every salad I make. Place them in a large Tupperware container. Next, plan out your toppings. I begin with what can go directly on the salad. This decision is based upon the water content in the ingredient. If it feels watery, place it in its own Ziploc baggy. My shredded carrots feel damp, so I’ve been packing them separately. Cheese is safe so dump it on the salad. 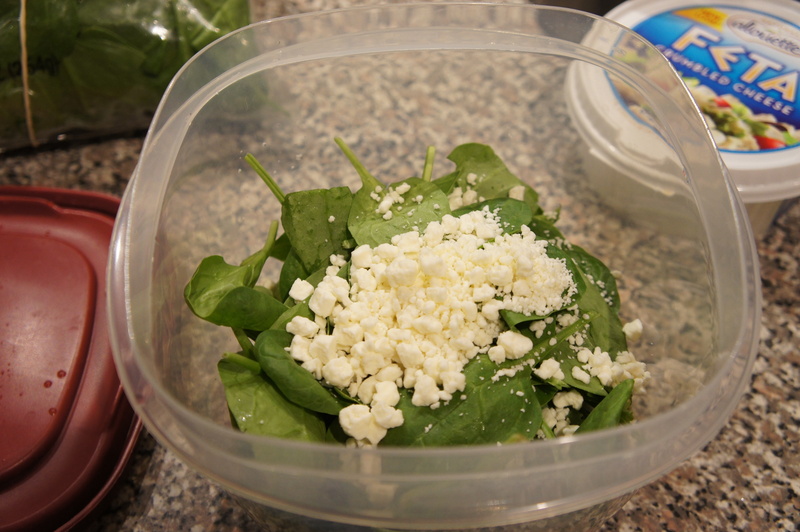 I stick to lower calorie cheeses like Gorgonzola, Feta, or Goat Cheese for my salads. 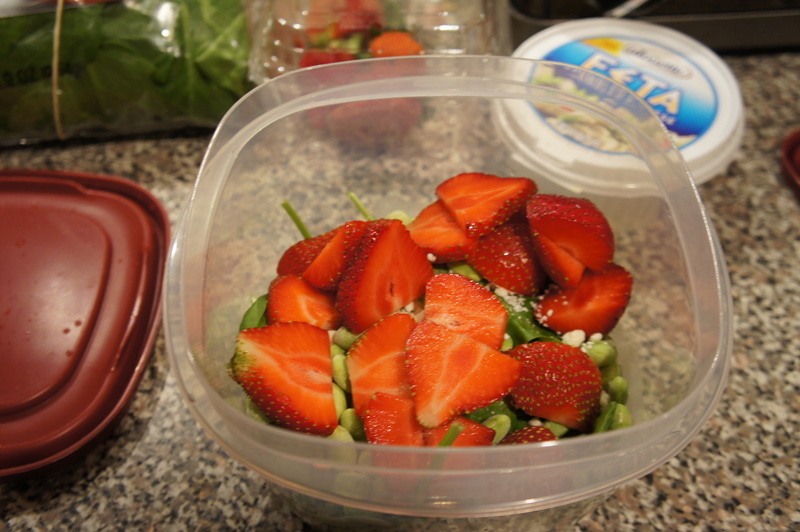 I love strawberries on my salad so I’ve been adding those. They’ve been fine sans separation. Next, I throw on some frozen shelled edamame that thaws on the salad overnight. Since salad isn’t the most filling food, I like to buy a rotisserie chicken at the grocery store and separate out the meat into individual servings. It’s delicious, easy, and a great way to add some protein. 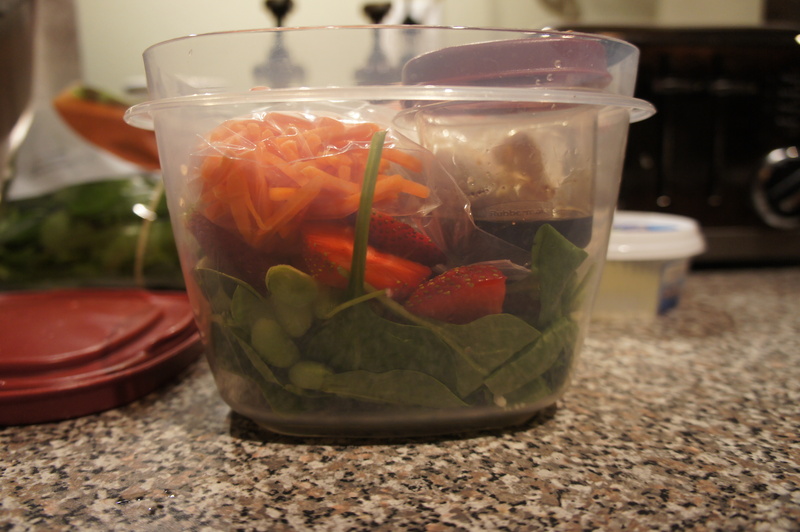 Lastly, I use a small container for dressing (balsamic vinegar and a bit of oil.) 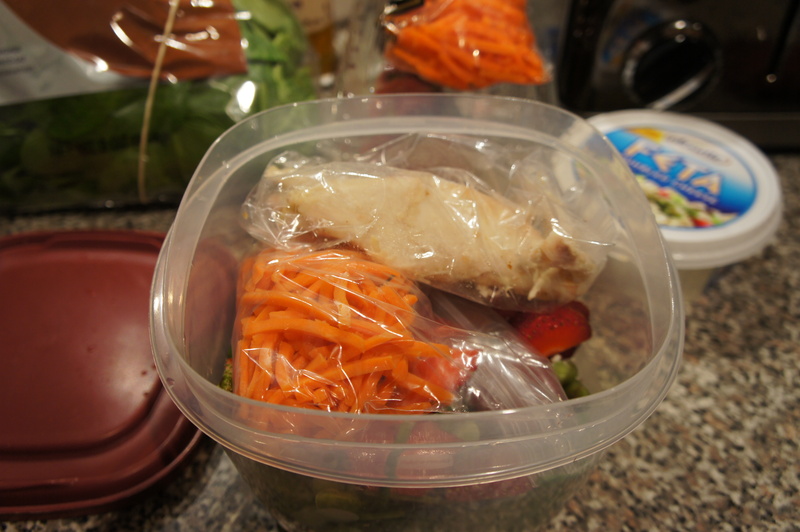 Everything is packed together in the large Tupperware creating instant portability. When lunch rolls around, I empty the baggies and dressing. And there you have it! A fresh salad for lunch that isn’t soggy. Salads are also extremely versatile. Change up the dressing and ingredients for healthy options that still provide variety. What’s your favorite salad combo? I wish I had dried cranberries. I would have added those too. That’s a great dressing idea! I’ll have to try it.